The BBC has won approval for its high definition (HD) broadcasting plans after it passed a Public Value Test (PVT) set by the BBC Trust. Approval will enable the Beeb to show HD content on its free-to-view satellite TV offering (Freesat), and will be eventually lead HD programmes being show on Freeview - something that's not possible now. "High Definition will eventually become a significant broadcasting standard and, as with all BBC services for which everyone pays, it is essential that this is universally available as soon as possible. This means the Trust will consider in spring 2008 the timing of the launch on Freeview, when there should be greater clarity on HD broadcast standards and the spectrum capacity available for the channel." The ability to show HD content on Freeview has long been a source of contention between the Government and broadcasters. 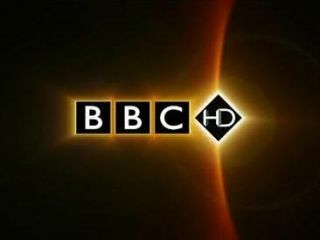 Broadcasters like the BBC would have liked to use the analogue spectrum freed up by digital switchover to deliver HD services. The Government has remained unconvinced - it wants to flog the spectrum off to mobile phone companies, as part of the so-called 'digital dividend'. The BBC's ability to deliver HD on Freeview is dependent on new compression technologies and a possible cull of existing channels. Alex Lane of our sister magazine What Satellite and HDTV says even then HD delivery over Freeview may not be possible until 2009. "... the Trust reiterated its decision that the BBC's commitments to Parliament - in terms of full, live coverage of the House of Commons, and full, but not necessarily live, coverage of the House of Lords - must take precedence over the BBC HD channel if capacity cannot be found for both."